Then I was reminded again. And as if to make sure the third time was the charm, yes, you guessed it, they told me to get ready, lest dare I say later I had no idea what was coming my way. No, not talking about the apocalypse. Merely the task of putting together the gargantuan tome you're now holding in your hands (or the boatload of content you're navigating online). Ah, yes. Best of San Antonio. Ain't nothin' like it! So, whew. Done and done. No easy task. And hard as we tried, I'm sure we didn't catch some typos and - gulp - a potential factual error or two (really hope not!). But in case you're a BOSA first-timer like me, or as a refresher for experienced readers, this is the time of the year when we literally turn the issue over to you. Except for 21 picks we kept as staff or critics' selections (designated with a ), winners for the remaining 129 picks were put in your hands, via online voting (in some cases we had to do without a second or third place due to many nominees getting just one vote and causing multiple-way ties). All this number stuff reminds me of another stern warning I was given: No way you're ever going to make everybody happy. So, yes, we made an editorial decision as to which winners to keep as staff picks. Main reason was that we felt we had something to offer certain expertise and analytical perspective. But if you disagree with our call, please let us know. I'll be all ears but I'll also want to share with you how proud I am of our team. Our small but indefatigable staff deserves much kudos for burning the midnight oil to see it through. Many thanks as well to our cadre of freelancers and interns, whose help was crucial. And how about Mary Alice Medina and staff at Angelin De Carlo, who designed the exquisite hats displayed on our cover and in our section dividers throughout the issue? Hopefully the pictures do justice to the intricacy of these chapeaux. The one featured in the Nightlife section actually lights up! Gabby Haff, our cover model, endured the four-hour photo shoot with these six quasi-edifices - weighing up to 15 pounds each on her head. 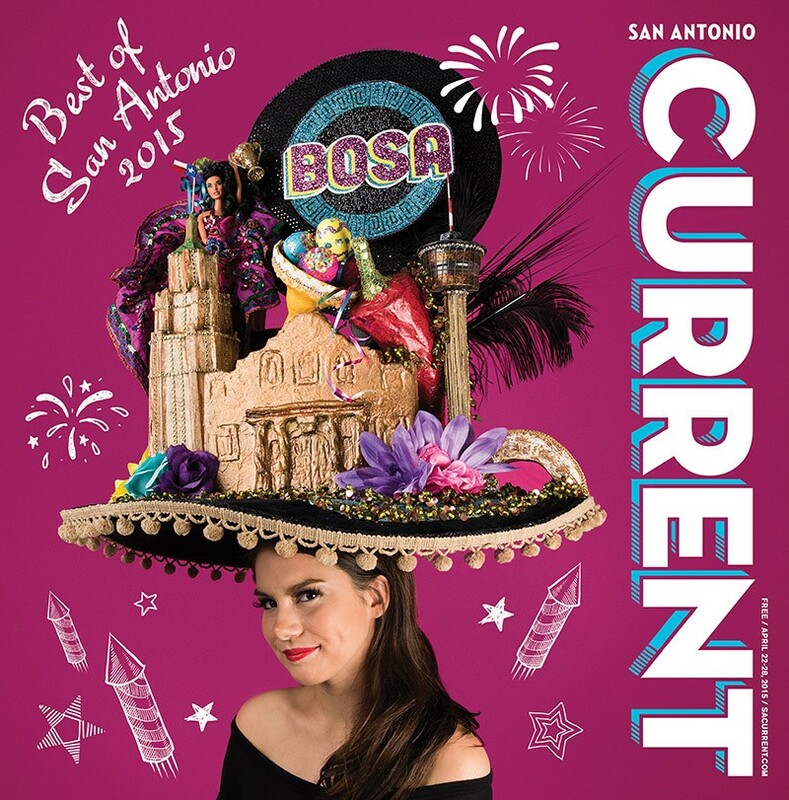 But of course most props to you, our readers, for continuing to make the Current the go-to publication for all things San Antonio.